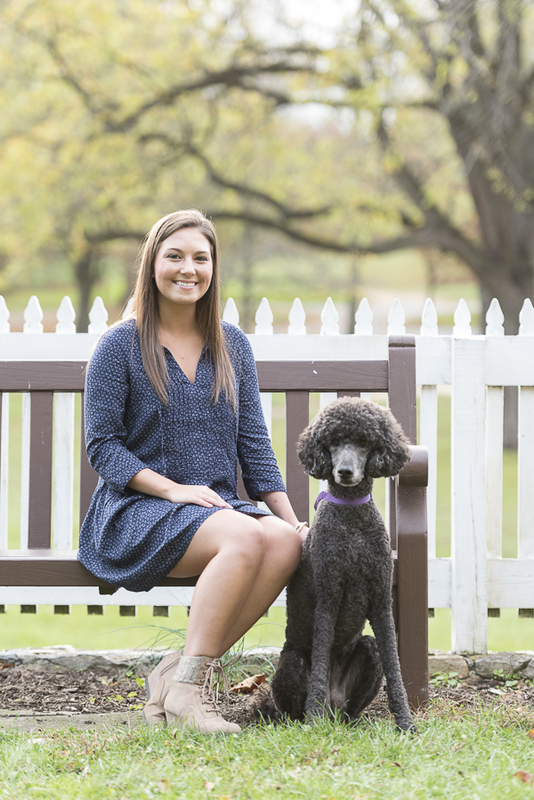 I love it when people include their dogs in family portraits! 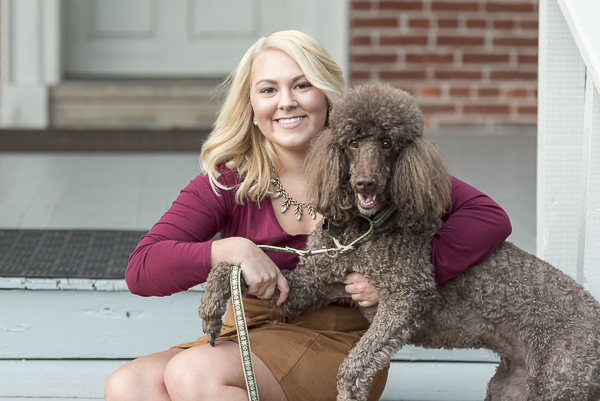 Standard Poodles, Winnie and Ana, joined their humans for a lovely session with Deb from Annie Sharp Photography. From Andy and Ruth: “Our daughters are Ashley and Katie. 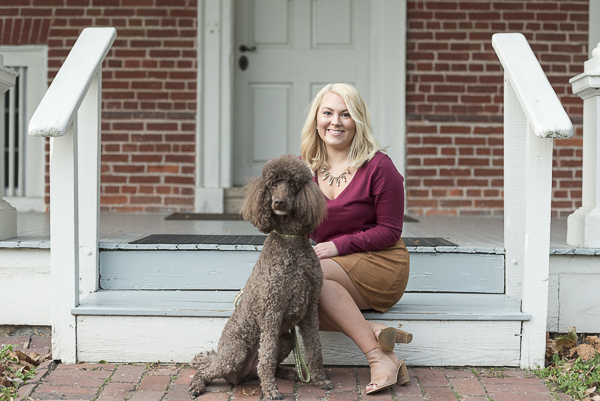 Our furry family members are Winnie, the brown standard poodle who is ten and Ana, the silver standard poodle who is six. 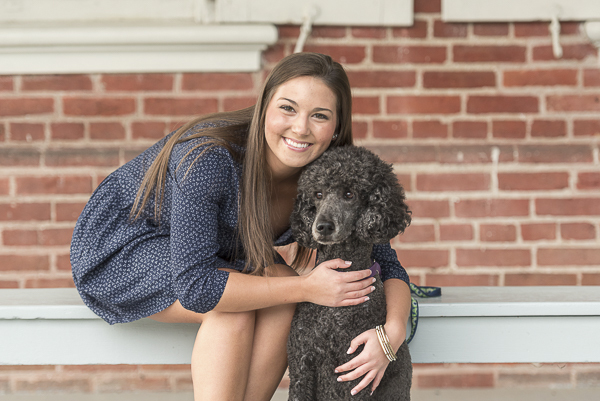 Katie raised Ana as a service dog (in training) for the first 18 months of her life. However, when Ana went into secondary training, she started showing signs that she was probably not meant to be a service dog. After UDS decided to release her from the program, Katie adopted Ana. Follow Annie Sharp Photography on Instagram. 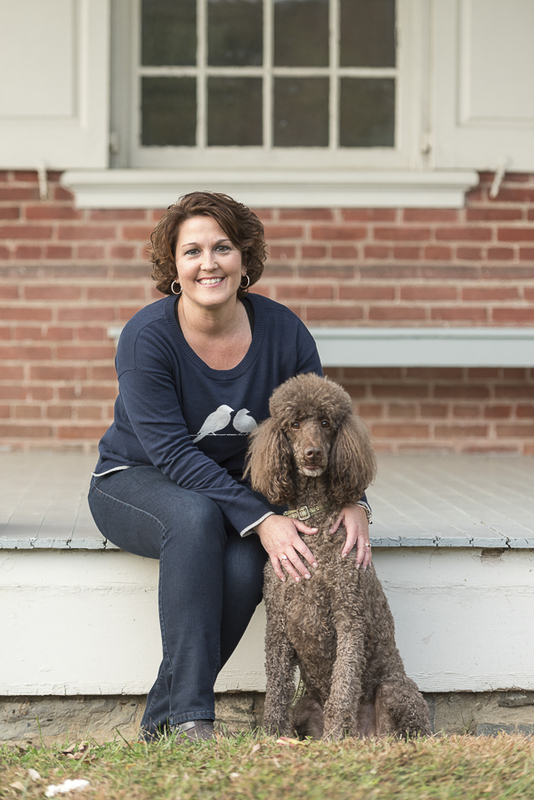 About Annie Sharp Photography: Based in Lancaster, Pennsylvania, Deb Kepiro is the photographer at Annie Sharp Photography. She specializes in family portraits as well as wedding photography. Those family photos are so precious! 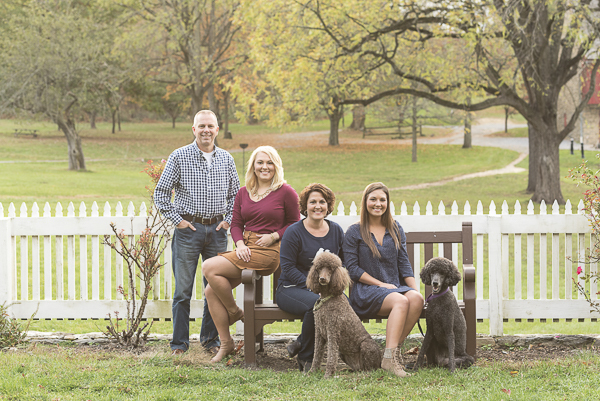 I love it when pets are included in the family portrait — they should be! I LOVE those pictures! And seriously, in the first one? Without the fur-kids, I don’t think it would look complete. PURRS. Super cute! I need to get my family to update our family portrait. Thanks for the reminder! What a beautiful setting for family portraits. The late afternoon light makes the people, pups, and nature glow! I say it all the time; I wish I could get some professional portraits made of my girls and me together. I would love to have a professional photograph done of the three of us. I love these photos. I’m going to try and find the perfect photographer for you 3! What a beautiful family portrait. I love the backdrop with the autumn leaves and colors. Ana and Katie have such grace and sophistication. 🙂 I love that the family included their pets because they really are family members too! 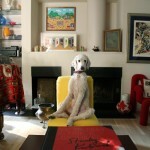 Not all dogs are cut out for service, but I’m happy Ana found her place as a beautiful loving pet. These are wonderful photos! I’m so glad for her too! As usual, very beautiful. I prefer pics with just dogs in them. Wow! 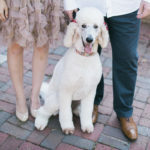 I recently fell in love with the Standard poodle at BlogPaws! They are such stunning dogs! 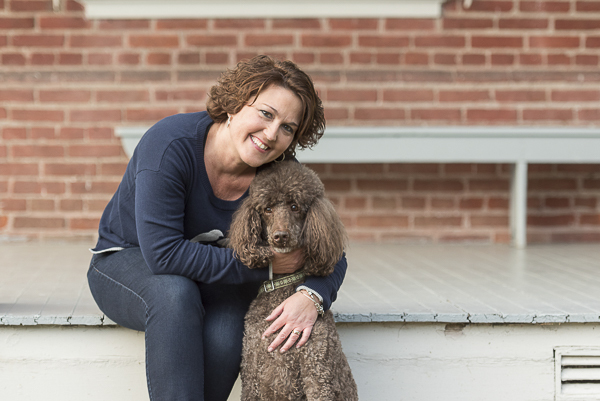 My mother has a toy poodle but I have not been exposed to any standards until I went to BlogPaws! 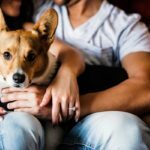 What gorgeous photos and everyone looks so happy with their pups!